RHM Commercial has returned to Belfast’s fashionable Cathedral Quarter where the firm started business 10 years ago. Nick Rose of RHM explained that “we reluctantly left the area in 2005 after outgrowing our offices in Hill Street. There were no suitable good quality offices available in the area at the time, but the situation has changed in recent years with Barnabas Venture’s Midtown Center (www.midtown-center.com) and the recent completion of Saint Anne’s Square (www.saintannessquare.com), a joint venture between CUSP and Kennedy Group”. 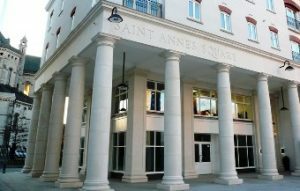 Saint Anne’s Square is a £60million mixed-use scheme that provides high quality office space, restaurants, retail, apartments and a multi-storey car-park. It is anchored by a 169 bedroom Ramada Encore hotel that opened in early 2009 and the £18million Metropolitan Arts Centre (MAC) that is currently under construction. 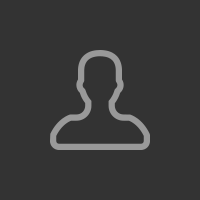 Nick commented that “apart from the high quality of the scheme that is built around a European style piazza, the location is perfect for us – only a couple of minutes walk to City Hall and the road communications are superb – we can be on the Westlink, M2 and M3 within a matter of seconds”. In welcoming RHM back to Cathedral Quarter, CUSP’s Property Manager Tony McCarthy commented that “RHM Commercial is renowned for its expertise on the Belfast Office Market and the firm’s decision to choose Saint Anne’s Square for its new offices is a ringing endorsement of the scheme”.